When faced with the daunting prospect of choosing a summer camp for a child, a parent has a lot to consider, especially if it is a first time camp experience. A lot of misconceptions abound about summer camp and what goes into choosing the best one for each child. What follow is a list of the Top Ten Myths About Choosing a Camp. Fact: In reality, a longer camp stay allows a child to get over any homesickness, make new friends and enjoy the complete camp experience. Once they have done this they feel a real sense of accomplishment. Fact: Program offerings and philosophies vary from camp to camp. Some are more sports oriented, some more artistic, and some more competitive. Just as no two children are alike, a camp that is a great fit for one child may be a poor choice for another child. Fact: That’s OK if the best camp for the child happens to be close by, but that’s often not the case. It’s better to select the right camp, regardless of location, than a wrong one that’s nearby. In the event of an emergency, parents can’t be at the camp immediately regardless of where the camp is. One can generally fly to camps that may be further away, often arriving there sooner than driving to one that may be closer to home. Fact: This may be OK if the child has already attended a general camp, is a little older and ready to handle the intensity of a one activity camp. We recommend a general camp for a child’s first experience. General camps are more nurturing and spend time helping children to adjust to being away from home. They also offer children exposure to a variety of activities, which often generates new interests for a child. Fact: While it’s true that you generally get what you pay for, there is a wide range of camp tuitions available; from about $400 to $1200 per week. Some very good programs are available at the lower end of the spectrum. Look at all the factors, not just at price. Fact: This may aid in the process of getting the child to go to camp but once there it typically does more harm than good. Friends that go together to camp often stick together alienating themselves from the group and preventing a very important aspect of camp from taking place; making new friends. Occasionally, the more independent child will begin making friends leaving the other child feeling abandoned and betrayed. The result of which can be a strained camp experience and two former friends. Fact: Frequently the parent is really expressing that they as a parent are not ready for the child to leave the nest and go to camp! Historically families who send younger children to camp (ages 6-10) report a much easier adjustment and better overall experience. Older children have a more developed sense of fear which can hinder the adjustment process, teens can often be rebellious and fight the notion of going to camp, and for older children they may be the newcomer in a camp with children that have been attending for years. Fact: Some families are early planners and do visit camps the summer before they send their kids to camp. This is really the only useful time to pre-visit, when the camp is in session. To visit during the off-season, when camp is closed is to see nothing more than a closed down facility- dull and uninformative at best. Most families, (over 90%,) choose the camps for their children without first pre-visiting. Today, most camps have videotapes and websites which are a great way to see a camp in action. It’s also wise to request and speak with references (parents of children that have attended the camp). Fact: Not a wise idea! The past 2 years a record number of children, over 6 million each summer, have attended camp. Demand has outgrown supply. Many families have ended up on waiting lists that never opened up. 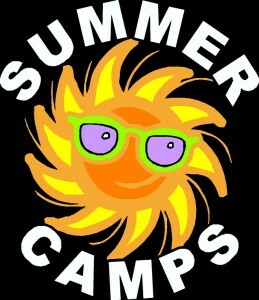 The slowing economy is not expected to have much of an effect on the growing demand for summer camp. Families should begin their camp selection process as early as possible. The peak months for camp enrollment are December through March. Some great camps are still available in the spring but it’s a risky game of hit and miss. Fact: While it is true that not every camp is right for every child, there is a camp out there where each child can thrive. Regardless of a child’s personality or nature camp can afford them the chance to have fun, make new friends, develop skills and cultivate new interests. What’s important is to understand the child’s style and interests and find a camp that meshes with those. For example, sending a child whose passion is performing arts to a competitive, sports oriented camp will probably be a disappointment to all. Camps may sometimes try to be all things to all children but take the time to really explore what each camp offers in the areas that interest your child. And keep in mind, siblings can be very different, so a camp that has been a success for one child may or may not be the perfect place for the child that follows. Parents should be prepared to discuss any of these or other concerns they have with the directors of the camps they are considering. When you feel that you have found one on the same wavelength, you can be comfortable and confident in making your camp decision. Every child should have the chance to grow emotionally, gaining self confidence and independence. These are the benefits of the camp experience and every child should be given the opportunity to experience summer camp!